M-Pesa subscribers will have to go without the services this coming weekend. According to Safaricom, the services will be shut down on Saturday and Sunday to facilitate the transfer of its servers from Germany to Kenya. 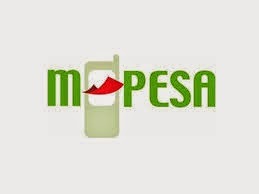 The Mpesa services which are going to be affected during the shutdown are depositing, sending and receiving money, topping up airtime, mobile banking through Mpesa and making payments through the Lipa na M-Pesa menu. The shutdown will continue until Sunday afternoon when Mpesa services are expected to return to normal.